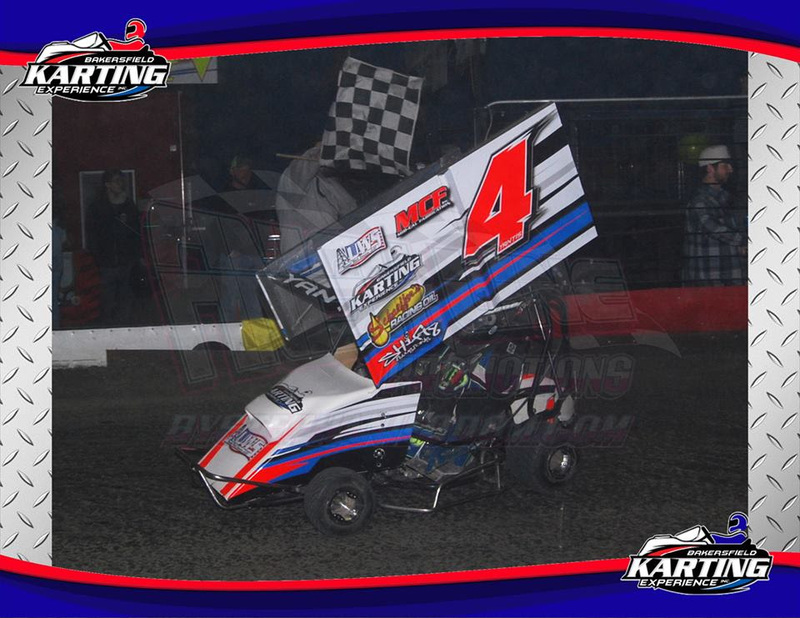 BAKERSFIELD, CALIFORNIA (January 2, 2018) – Bakersfield Karting Experience ran one of the last races in California for 2017 on Friday night with the Open Outlaw Karts in action. IMCA Modified standout Ethan Dotson topped a 20 kart turnout for the 25-lap feature win, worth $400. The event was only the second Outlaw Kart race at the 1/10th mile dirt oval. 14 Karts started the feature after a trio of heat races, an entertaining B Main, and a Dash for Cash. Bakersfield Speedway IMCA Modified champion Brad Pounds won the dash and started on the pole for the feature. He led many of the early laps before a mechanical problem bounced him from the lead. With many inexperienced drivers and mechanical problems, there were several cautions that slowed the action. Dotson and Dylan Thornton had battled for second throughout the race before Pounds fell out. Dotson inherited the lead and never looked back while Larry Moody took second at the stripe. Opening race winner Tim Randolph drove through the pack to finish fourth as the hard charger of the night. Robert Gordon rounded out the top-five. Bakersfield Karting Experience is shaping up for a busy January at the state-of-the-art facility. The world’s only indoor dirt oval has rental kart racing for the general public daily! Friday January 5th will be the next big race night with the Jr. and Sr. Mini Dwarfs competing. On Saturday January 6th, the 35 big screen TVs throughout the complex will be airing Anaheim 1 Supercross with two-for-one draft beer specials and other entertainment inside Smokey’s Pub & Grill. Dirt kart rentals will be open during the evening as well. The biggest event in the history of Bakersfield Karting Experience is fast approaching on January 19th-20th with the inaugural Bakersfield Indoor Kart Nationals. Friday night will see open Outlaw Karts for $400 to win plus Jr. and Sr. Mini Dwarfs and Beginner Box Stocks. Saturday’s finale will see the open Outlaw Karts for $1000 to win plus Clone flat karts and Box Stocks. Each night will have complete racing including eight lap heat races and 25 lap features. Entry and rules information can be found on the Indoor Kart Nationals Facebook event page. DAYTONA, Fla. (Jan. 2, 2018) – As a record-setting 2017 is officially in the rear-view mirror and competitors turn their attention fully on the 2018 season, NASCAR announced several updates that will provide a new look to the touring series. The NASCAR touring series takes the green flag on 2018 with the K&N Pro Series East opener at Florida’s New Smyrna Speedway on Sunday, Feb. 11; the K&N Pro Series West starts Thursday, March 15 at Kern County Raceway Park in Bakersfield, California, and the Whelen Modified Tour rolls off on Saturday, March 17 at South Carolina’s Myrtle Beach Speedway; the NASCAR PEAK Mexico Series opens on Sunday, March 25 at Monterrey; the NASCAR Whelen Euro Series gets underway at Valencia in Spain, on April 14-15; and the Pinty’s Series will have its traditional season-opening weekend at CTMP on Sunday, May 20..
Eureka, CA (January 1, 2018) – The 2017 season at Redwood Acres Raceway was a fantastic one to be sure. There were countless thrills to be had in all six local divisions and many memorable moments that brought the fans to their feet. 2017 champions will be honored on Saturday February 10th at the Bear River Casino And Resort. Daniel Buell came out on top in the California State And Federal Employees’ Credit Union roadrunner division. Buell scored seven feature wins in the division in 2017 and beat Nick Ford for the title by only 13 points. Like Buell, Ford also won seven main events and the two drivers raced neck-and-neck for the championship all season long. The championship race in the NorCal Automotive Legends division featured a battle between a division rookie and a sophomore racer. Tyler Peach claimed the championship in his first season after moving from the roadrunner class. Peach won twice in 2017. MKinzy Uselton was the only driver in the division who started every race as she managed to place second in the standings. John Lally ran away from his competition in the Fortuna Wheel & Brake bomber division. His three main event wins helped secure his first championship. Kolby Jackson was Lally’s closest finisher in the points. Jackson failed to register a victory but was a factor in nearly every race all year long. The fight for the title in the Humboldt Hydroponics mini stock division proved to be a season-long storyline involving two members of the Murrell family, Brett and Brian, Sr. In spite of missing the first race of the season, Brett was able to triumph over his father by only seven markers. 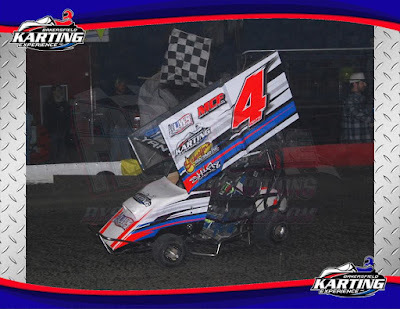 The younger Murrell was a terror in the mini stock division in 2017 registering six main event victories to his father’s two. The Lone Star Junction Thunder Roadster division featured “part two” of a battle between Ronnie O’Neil and Tommy Payne. In 2016, Payne triumphed in the championship over O’Neil. In 2017, the tables were turned with O’Neil edging out Payne by 10 points. Both drivers averaged a 2.6 finish on the year but it was O’Neil’s four main event wins to Payne’s one that helped secure the championship. 2017 proved to be a positive change for the Mid-City Motor World late models with the inaugural season of the Super Six Late Model Challenge Series. Mic Moulton took home another late model championship on the back of only one victory on the year. Brandon White won three times in 2017 including the Dennis Wendt Memorial Fall Spectacular 100 but came up short to Moulton by 11 points. As mentioned previously, drivers in all six divisions will be honored Saturday February 10th at the Bear River Casino And Resort. On Saturday January 20th, RAR officials will host a meeting for all drivers and crew members at the fairgrounds home economics building. Two-for-one memberships are also available for a limited time for $100. Highlights of the 2018 schedule include the six Super Six Late Model Challenge Series races as well as three dates for the North State Modified Series. July 7th will feature the Don Graham Memorial Firecracker 100 for the late models followed by the annual fireworks show. July 21st will be a hot ticket to be had as both the late models and North State Modifieds will be in action. RAR will play host to tractor pulls during the annual fair events on June 23rd while August 3rd and 4th will see the return of the popular monster trucks. The 2018 season at the Acres will conclude with the Fall Spectacular on September 8th and 9th. The North State Modifieds will be featured on Saturday night while Sunday’s Dennis Wendt Memorial Fall Spectacular 100 for the late models will conclude the season. With the release of the 2018 schedule of racing at Redwood Acres Raceway is also a change to the start time. The front gates will now open at 5:00 PM with racing beginning at 5:30 PM. For more information please visit Redwood Acres Raceway’s official website www.redwoodacresracing.com or visit the track’s Facebook page.